The World has changed. I feel it in the water. I feel it in the Earth. I smell it, in the air. Diageo – once the Sauron of all the drink companies, well known for neglecting maltheads, limiting their Scotch distilleries’ malt whisky portfolios to bare minimum and embarrassingly overpricing non-standard bottlings – are now firing out one affordable cracker after another. Following the Distillery Editions and good Feis Ile bottlings comes something I personally am wetting my pants about. 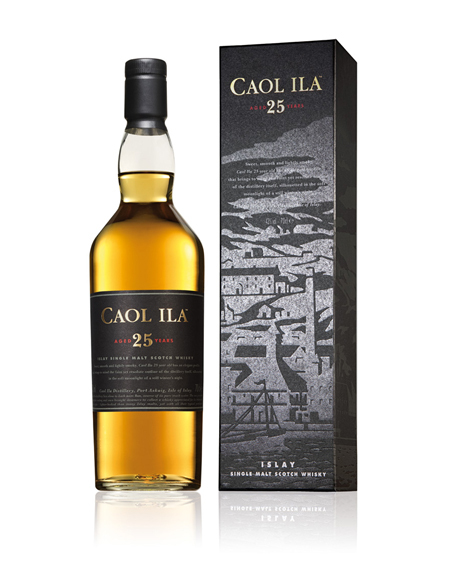 Caol Ila 25. How much is ‘affordable’ in Diageo Dictionary – I hear you shout. £500? No. £400? Nope. £300? Not really. The newest addition to the Caol Ila portfolio has the UK Recommended Retail Price of £135. For what it potentially could be it sounds rather reasonable. Another 25 year old Islay I can think of is Laphroaig 25 CS, costs about £240. What do you think guys? I’ve never had a Caol Ila that was anything less than brilliant, it definitely is one of my favourite distilleries and my expectations are sky-high. This entry was posted	on Friday, June 25th, 2010 at 12:56 pm	and is filed under News. You can follow any responses to this entry through the RSS 2.0 feed. Responses are currently closed, but you can trackback from your own site.